HOURS: Seasonal. We are open early May through October. Visit our web site for event listings. 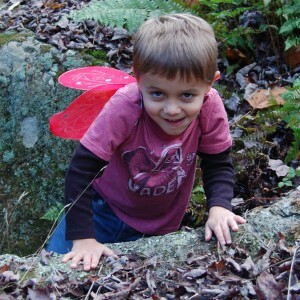 Petals in the Pines is a certified Nature Explore Outdoor Classroom by Arbor Day Foundation and Dimensions Educational Research Foundation (one of only 7 in NH). We are a diverse small farm with over 20 themed gardens, a small chicken flock, and woodland trails. A dozen activity areas have been integrated into our property where kids can learn about gardens and nature through art, music, building and much more. We welcome kids and their families for garden and nature-themed birthday parties and workshops, scheduled spring through fall. Or join us for a time of spontaneous play and outdoor exploration in a safe and nurturing environment during "Spread Your Wings" Days. Our annual Monarch Festival is always held in September. We celebrate this amazing creature during its annual migration to Mexico. Highland Mountain Bike Park opening day is April 25th!